We have a new Merry Monday Christmas card challenge for you this morning. Colleen is our hostess and her challenge is to Create a Christmas card in green, blue, white/silver/vellum. The first thing I did was look through my stash of papers for some blue and green patterns. I like the delicate little ornaments on the page I used. I then created the large flag out of vellum and heat embossed the sentiment in silver. I found that with the pattern in behind the works did not show up very well so I put in a flag of white in behind. I used some eyelets for the ribbon. I added some rustic silver edges to a layer of white cardstock then finished with some dots. 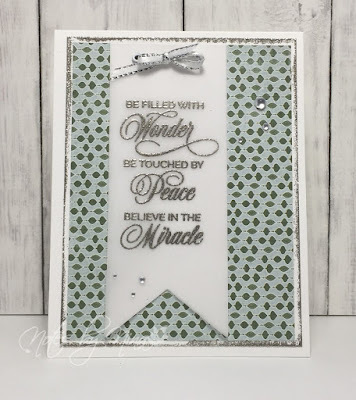 Supplies: White cardstock, Designer Paper -Carta Bella , Penny Black- Yuletide Wishes, ribbon, dots. 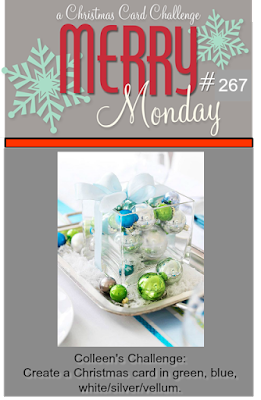 Be sure to stop by the Merry Monday blog for all the inspiration created by the design team. Play along you can never have too many holiday cards. All the pretty silver elements add so much to your card. So pretty! 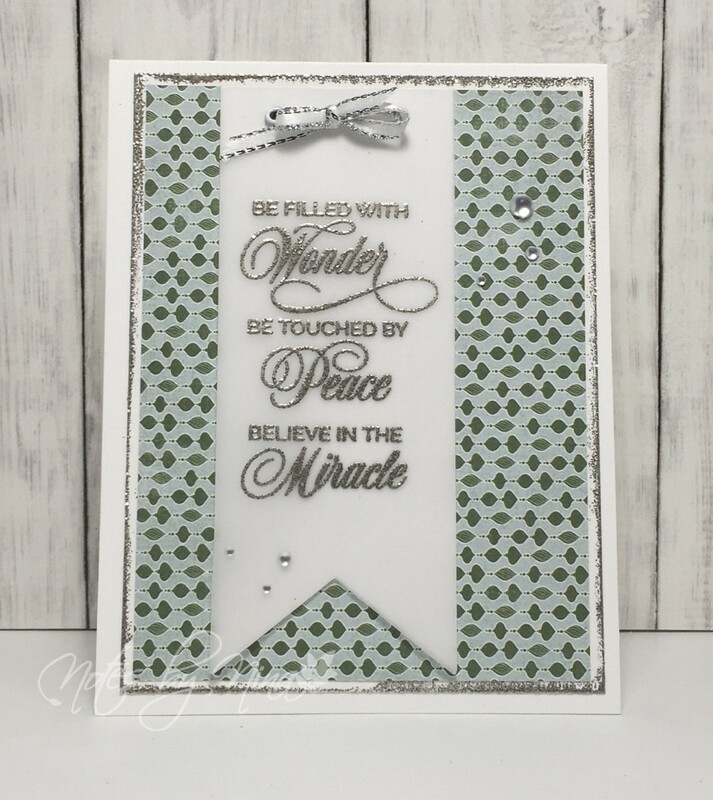 Nina,this is such a soft card and that embossed sentiment is just lovely! Lovely, Nina. Hope you have a great week. Just love your vellum sentiment flag, Nina - perfect on that yummy background paper!! Very pretty and so elegant with the silver embossing! Beautiful card with all the sparkly. Love the sentiment. Love all the delicate touches - SO PRETTY Nina! Wow - this card is truly beautiful.